Thabo Qalinge's first-half goal was enough to see Pirates edge Golden Arrows 1-0 to progress to Telkom Knockout quarter-finals. 10 minutes into the first half, Qalinge skillfully eliminated a man on the wing before delivering a quality cross into the box. The ball fell for Justin Shonga after a scramble in the box and the forward shot his shot straight to Nkosingiphile Gumede from close range and Arrows managed to clear their lines. Qalinge was enjoying himself in the game as he was on the receiving end of a great chip from Mpho Makola only to see his header hit the upright in the 15th minute. Arrows came close to scoring after 29 minutes when Zolani Nkombelo whipped in a cross which Knox Mutizwa failed to direct towards an empty net. 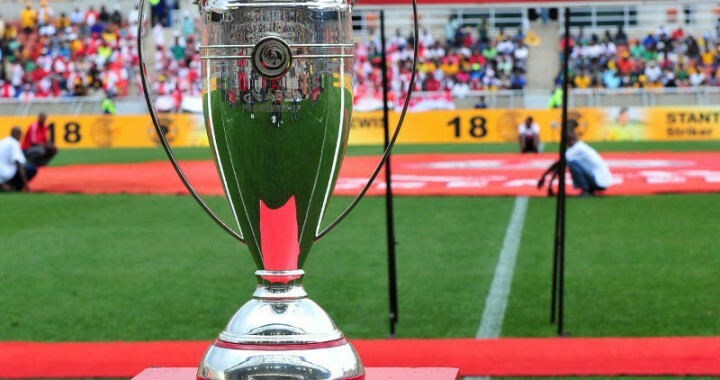 The home side were made to rue their missed chance as a long ball was flicked on by Thembinkosi Lorch and chipped over the on-rushing Gumede by Qalinge to give Pirates a 1-0 lead in the 33rd minute. The entertaining half came to a close with Pirates having the upper hand as they lead Arrows 1-0. Qalinge picked up where he left off in the first half as he made a daunting run from a wide position before linking up with Makola but failed to connect with the ball as he was tumbling down while taking his shot. Mutizwa was in the thick of things again as he was a target from another Nkombelo cross, but the forward over-hit his header as it sailed over the bar in the 70th minute. The Buccaneers managed to see off the remaining minutes and claimed a 1-0 victory which sends them through to Telkom Knockout last 8. Arrows: 32 Gumede, 21 Mngwengwe, 5 Mzava, 14 Dube, 2 Nkombelo, 6 Shongwe, 28 Bilankulu, 41 Lamola, 27 Magubane, 11 Mahachi. Pirates: 16 Mabokgwane, 19 Chabalala, 34 Nyauza, 23 Maela, 8 Matlaba, 18 Sarr, 5 Makola, 15 Qalinge, 29 Lorch, 24 Kutumela, 27 Shonga. Once again thank you Micho for saving Thabo Qalinge at Orlando Pirates...Many coaches came and gone..they never believed in that boy, They tried to destroy his future but Micho saw the opposite of that and the boy is playing very well now....Shapppppaaaaaaaaaaaaaaaaaaaaaaaaaaaaaaaaaaaaaaaaaaaa Bucs Shapppppppppaaaaaaaaaaaaaaaaaaaaaaaaaaaaaaaaaaaaaaaaaaa.